The 6th Mansmith YMMA awardees 2011 : (seated from left) Jonathan Joson, Victor Hugo, Jr., Winsley Royce Bangit, Roel Chan ; (standing from left) Pamela Takai , Anna Lourdes Legarda , Joseph Emmanuel dela Cruz , Ma. Belinda Reyes. Winsley has been with Globe Telecom for five years, starting his stint in 2005 as an events manager for the South Luzon region. In 2007, he moved to the Touch Mobile (TM) Activations Group to manage the brand’s national Below-the-Line (BTL) initiatives for urban areas. Winsley currently holds the position of consumer marketing manager for TM Brand Group and is directly responsible for growing TM’s business in the traditional SIM selling and reload channels. Given its challenger position in the industry, TM needed to intensify its efforts to grow its business faster than the other telco players. With this in mind, Winsley developed and launched the TM Welcome Sampler project. The TM Welcome Sampler project is an activation program that bundles free usage and value added service offers to every new TM SIM. It aims to intensify the growth of TM’s consumer base by increasing the value proposition of its SIM cards in order to switch subscribers currently enrolled in other networks. One of the key insights gathered from a commissioned market study is that “value-for-money” ranks among the top motivators for switching. As marketing manager, Winsley has worked very closely with several functional support groups and collaborated in the creation of strong product roadmaps and usage offers, development of SIM card features which includes pricing and free offer bundles, conceptualization of consumer promos using various technical platforms of Globe, customization of national programs to give it a regional appeal in the mainstream channel, and the development of innovative and creative merchandising initiatives to amplify TM’s brand proposition in the mainstream channel. He also led the technical development and go-to-market executions for the TM Welcome Sampler promo. TM launched the Welcome Sampler program highlighting TM’s All-Network offers. These are call and text promos that are open not only to TM and Globe subscribers but include all other networks. From 2009 to 2010, TM has successfully launched three Welcome Samplers: Free 15 minute calls to all networks, Free 150 texts to all networks and Free 100 texts plus 10 minute calls to all networks with three full quarterly campaigns (TVC, radio, and merchandising) in 2010. Winsley also led and supervised the product development and go-to-market campaign for the new TM Diskarte SIM in 2007. The SIM is the first 32K SIM in the market and the first SIM to be priced below P50. With an SRP of P30, it was the most affordable SIM in the market then. In addition, Winsley developed and executed the go-to-market strategy for region-specific offers. The full campaigns included local media buys (TV & radio), merchandising and pervasive BTL activities. The BTL programs ensured promotion of TM products on the grass-roots level and helped cement TM foothold in the mass D & E market. The on-ground platforms range from small barangay blitzes to full-scale regional events. TM started with an 8% market share in the 4th quarter of 2008. When TM launched the All-Net offers in May 2009, market share grew to 14% by 3rd quarter of 2009. (Source: TNS, Brand Health Tracking). With this, TM was able to propagate the All-Net offers which helped lower the barriers to switching because it is now affordable to call and text family and friends even if they are subscribers of different networks. In the Philippines, the outdoor lifestyle category is a very small market compared to mainstream urban sports such as basketball, running and badminton. Despite this, the rich flora and fauna that the country has to offer, combined with local hospitality, holds much promise for the outdoor industry. Seizing an opportunity in the offing, the Primer Group of Companies created ROX or Recreational Outdoor Exchange-the biggest retail chain of outdoor products in Southeast Asia. ROX was conceptualized locally in the Philippines with a vision and mission to promote adventure tourism, outdoor and green lifestyle among Filipinos. ROX’s long-term goal is not just to grab a share of the outdoor market but to grow the pie itself. The mantra for the program has been “what is good for adventure tourism in the Philippines, is good for ROX.” Roel’s challenge was to make ROX a thriving hub for the local tourism industry. One of the key strategies that Roel undertook was the “creation of content” that would spark interest in local destinations or activities. Contrary to popular belief, outdoor activities in the Philippines aren’t limited to the usual camping and rock climbing. Further research by Roel led him and his team to see potential in three lesser-known activities that held huge potential: birdwatching, backpacking and kayaking. Birdwatching is relatively unknown in the Philippines. Roel wanted to turn this around and market the Philippines as a birdwatching destination, which would in turn, attract inbound tourists. ROX together with the Department of Tourism (DOT) organized a team of writers, photographers, and videographers to scout and document 24 birdwatching site all over the Philippines. The result was a 2-volume book, Birdwatching in the Philippines, which was marketed to local experts and bird clubs. The birdwatching program is now part of tourism history. The book and the effort have received several commendations including its launch in the London Bird Fair and eventually the hosting of the Philippines for the 1st-ever Asian Bird Fair, a true testament to how the program has influenced the industry in such scale and depth. Backpacking is an important foundation to create a sustained and authentic “local traveler market.” This entry strategy into the local tourists market would build the “outbound” segment of ROX. Roel and his team built awareness for this growing travel segment by commissioning artist and avid backpacker, Robert Alejandro, to document his travels around Southeast Asia in a book and documentary film, The Sketching Backpacker, that also acted as a guide and inspiration for aspiring backpackers. The growth in the backpacking culture has also spurred growth in the Adventure Travel section of ROX, which is the main bread and butter of the store. Roel did not just increase sales but also added brands to address the need of the emerging traveling culture in the Philippines. An archipelago of more than 7,100 islands, the Philippines is an ideal kayaking destination. In order to promote this outdoor activity, Roel and team invited Singapore’s top outdoor athlete Khoo Swee Chiow to paddle from Saranggani to Pagudpud via kayak. Besides creating content, Roel and team started the Adventure Philippines campaign in 2008. This effort was in support of the DOT’s thrust to encourage local tourism. Another pioneering strategy employed by Roel was the use of authentic individuals and stories rather than celebrities and known personalities. These stories of regular people doing these adventure activities provided inspiration and more importantly information for ROX customers to get outside. These activities have resulted in performance gains for ROX-more than triple sales prior to the launch of said programs. ROX has also expanded and just opened its third, and so far the biggest, megastore in Marquee Mall, Pampanga, in November 2010. It is now synonymous with adventure and the outdoors, not just in the Philippines but around the region. These marketing programs don’t just build the ROX brand but it is also continuously changes the landscape of adventure, outdoor and travel in the Philippines. 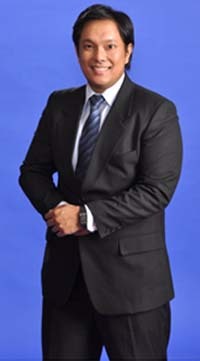 Joseph Emmanuel dela Cruz or Emman as he is fondly called by his peers, has been with Procter & Gamble’s (P&G) marketing department for more than seven years, having spent majority of his young career in Singapore, where he is helping raise the flag for Filipino marketers in P&G’s Asia regional headquarters. He has worked on various regional roles and global design for Olay, one of the world’s leading skincare brands. For the past few years, he has been involved in expanding Olay’s portfolio beyond its traditional core of Anti-Aging products-specifically by strengthening its whitening and men’s skincare lines. Emman is the man behind the first-ever launch of Olay into the male skincare segment via the Olay Men Solutions line, which he recently helped launch in Greater China in March 2010. With male skincare as one of the fastest growing category segments, it was necessary for Olay to enter male skincare quickly with a strong proposition. Other global and local competitors across the region had launched male products much earlier and have become dominant players. Despite Olay’s past focus on female skincare users, Emman quickly led proposition development based on strong understanding of this new male consumer base and clear focus on Olay’s key equity and technology strengths to meet the differentiated skincare needs of men. He also led several tests to qualify and prove a superior proposition vs. key competitors, which enabled him to not only get multiple stakeholders’ approval to proceed, but also enabled him to learn how to further strengthen and improve the proposition and deliver a successful launch. The launch of Olay Men Solutions is tracking to be one of the biggest new Olay China line-up launches ever, despite launching in half the normal lead time for a new product launch. It has received strong internal and external recognition, including individual recognition for Emman (one of only two members recognized from the Global Olay team). Sales have exceeded targets in the first seven months of launch, and share growth has been strong while directly impacting key competition’s share in just the 2nd month. Emman also led the proposition design for the expansion of the Olay Natural White line-up in ASEAN in July 2009 and qualified the line-up proposition for the brand’s various key international markets. One key challenge for the team is sustaining success in the ASEAN whitening segment, which is one of the biggest and most competitive in the world. Emman reapplied specific knowledge from his previous experience with ASEAN consumers while working with renewed focus on winning with younger consumers to drive better differentiation for Natural White vs. other Olay line-ups. Despite cost constraints, he developed a superior whitening proposition, which included qualification of a proposition that was superior vs. key competitors and top testing TV advertising. The launch of Olay Natural White in ASEAN exceeded sales targets in the first four months and hit strong shares in just its 2nd month in Thailand, leading to expansion into India. Currently, Natural White is among Olay’s biggest line-ups in ASEAN and India after only 1.5 years in market. Finally, Emman in his global role has led unprecedented and successful qualification of new and better propositions for all of Olay’s key international markets, which has primed the line-up for step-changed growth globally. Indeed, Emman continues to do his part in showcasing to the global marketing community that Filipinos have the caliber to be world-class marketing talent. Jonathan is the strategic planning director of Media Contacts Philippines, a multinational digital agency awarded Media Agency of the Year at the 2009 Philippine Advertising Congress Araw Awards. The very first major project that Jonathan handled, the Philippine Department of Tourism’s “Awesome Philippines,” is an integrated global campaign that spanned 11 countries in four continents. Aiming to turn the global negative perception of the Philippines often portrayed as a hotbed of violence and corruption on CNN and traditional media channels into one with a more youthful, positive vibe-the agency used various digital media channels and a partnership with MTV to create meaningful brand engagements with the global youth. The most innovative of these brand activities was a virtual press conference housed in the online world of Second Life. A miniature version of the Philippines, called “The 7,108th Island”-complete with virtual representations of the Boracay’s White Beach, Bohol’s Chocolate Hills, and other top tourist spots-was used as a venue for international journalists to meet, listen to, and interview Tourism Secretary Ace Durano regarding the global campaign. This activity generated at least US$44,000 in offline media values alone-not counting hundreds of online media pickups-and saved the government millions of pesos that would otherwise be spent on expensive on-ground press events in each of the 11 target markets. Jonathan was also among the first to recognize and take advantage of the untapped social networking potential of Filipinos for consumer goods brands. Under his watch, Unilever’s Dove brand was able to build a base of over 30,000 vocal brand ambassadors on the Dove Philippines page on Facebook by the end of 2009-an astounding effort, given that the global Dove page had 89,000 members by the end of the same period. He also spearheaded an effort for Unilever’s Closeup brand to own “digital love” among online teens by creating 17 social games and applications, housed in an online “Kilig Factory,” that were sharable on teens’ profiles on Facebook and Friendster. Spread primarily in true viral fashion, these applications were used by at least 70,000 unique individuals in four months. Jonathan’s bold approach to digital media can be seen in the Bank of the Philippine Islands “Expect More Freedom” viral video campaign. Using then newly-introduced annotation technology on YouTube, Media Contacts built an interactive video campaign in the spirit of “Choose Your Own Adventure” that made viewers experience the freedom that mobile, landline, and internet banking could give them. This campaign got at least 80,000 views and garnered 65,000 incremental views from user-generated content. Jonathan believes that brands should not treat digital media as just a static channel to reach consumers, as what he sees is the case with TV, radio, and print media. Rather, he believes that the true potential of digital-brought about by its interactive nature, richness of content, and capacity for social integration-lies in its ability to go beyond simple advertising: it is a venue for brands to have meaningful experiences with consumers. Jonathan has shown that Filipino-led agencies and campaigns can be at the forefront of digital marketing innovation. A true Young Market Master, he has already gotten the industry to stand up and take notice of his innovative approach to digital marketing and his ability to identify and exploit trends and technology before everybody else. At only 24 years old, he’s just getting warmed up. 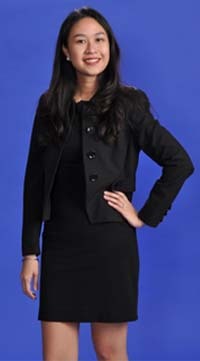 As Country Brand PR Manager for Procter & Gamble (P&G) Philippines, Anna spent the past two years focused on delivering the right brand public relations strategies and programs to build P&G’s beauty & body care categories and its brands such as Olay, Pantene, Safeguard and Head & Shoulders. One of the highlights of Anna’s career is the Olay Body Age Defying Soap “I Defy” PR campaign, the highlight of which was an “Age Defying Summer Fashion Walk Off” event which pit the Professional Models Association of the Philippines’ (PMAP) veteran models (30 to 40 years old) vs. younger models (20 to 30 years old) in a skin-revealing fashion showdown. The campaign communicated how older women can confidently defy norms with younger-looking skin from Olay. Only two months into the re-launch, Olay Body posted its highest-ever shares since its Philippine launch. The campaign saw value share double, with Olay Body gaining share from its biggest competitor. Another career highlight for Anna is the launch of the “Olay F Reunion-Looking Better 10 years After” campaign. Almost a decade after their TV hosting days, Anna reunited the F Girls and enrolled them as Olay Total Effects brand ambassadors. Anna’s successful enrolment of the F Girls enabled P&G Philippines to do its first full-fledged TV special production-the “F Reunion TV Special,” which aired several times on partner network ABS-CBN and Lifestyle Network. This campaign jumpstarted Olay’s growth and sustained it with strong momentum. Building on this success and momentum, Anna and her PR team developed and launched other PR campaigns for Olay Total Effects, Regenerist, and Natural White that made PR a constant business driver for Olay. It now enjoys leadership in the skincare anti-ageing category, achieving its highest share ever since its entry in the Philippines. For Safeguard, Anna enrolled UNICEF, the Department of Health, and the Department of Education as Safeguard’s primary local partners for the first ever Global Handwashing Day (GHD). These organizations were the most influential and credible experts with regard to handwashing education for children. This ensured a locally relevant launch of GHD among Philippine health influencers and Filipino consumers. The launch highlights included government support for GHD via the passing of Senate Resolution No. 627 filed by Sen. Richard Gordon urging government organizations to use all resources available to actively participate and assist in the successful implementation of GHD; support from 27 external partner organizations; support for GHD activities of local government units and schools nationwide; and a launch event with hundreds of school children, key partners, government officials, and over 50 TV and Print media. In the recent Pantene Mystery “?” Shampoo campaign, Anna and her team focused on engaging influential celebrity and media personalities on print, radio, and online. They committed to take a 14-day challenge where they tried the mystery “?” brand for 14 days before the nationwide reveal and shared their hair transformation updates in their respective media. The brand was revealed 2 weeks later in a media event where the challengees showed off their transformation results. During the campaign reveal, Anna also led her team to quickly leverage their strong relationships with these influential challengees to gain support and participation in immediate defense efforts against key competitive activities. Under Anna’s leadership, her team has delivered brand PR campaigns and programs that are recognized by the marketing teams as key business drivers that have helped build their brands immediately and sustainably. Avamys is the newest molecule in the Intra-Nasal Steroids (INS) market which offers a complete and easy solution for patients suffering Allergic Rhinitis (AR). GlaxoSmithKline’s commitment to enabling patients to do more, feel better and live longer is manifested in the launch of this innovative product in April 2009. Ma. Belinda Reyes or Mabel spearheaded early pre-launch activities which involved both internal and external stakeholders: 1) conducting market research one year before launch to understand the existing and potential market for Avamys; 2) conducting customer profiling exercise five months before launch to identify potential targets; 3) setting a clear and compelling vision which inspired the brand team to achieve milestones throughout the brand’s launch journey; and 4) championing excellent execution of marketing programs and sales team training. She developed sound options for the brand’s pricing strategy which facilitated the approval of an access pricing strategy vs. the above country guideline of premium pricing and drove the growth of total INS category to 41% from the 4% MAT growth prior its launch. The access pricing was also a penetration strategy to go beyond the market where Avamys was intended to compete in, not just based on socio-economic classes, but also to expand the opportunity to other patient segments being catered to by other drug categories, in this case, the oral antihistamines (OAH). In order to set-up the organization for the Avamys launch, changes in the resourcing for GSK’s INS brands had to be done. While pricing is integral for the success of Avamys launch, the intention was never to be the cheapest INS brand. On top of arriving at the optimal price to reach a new patient segment, brand differentiation in terms of efficacy and device was as critical in making Avamys the INS brand of choice for AR. The launch of Avamys represents two important milestones for GSK Philippines: 1) Avamys was the first GSK brand to be introduced in the market with an access pricing strategy and this was led by Mabel. This initiative further reinforced GSK Philippines’s commitment to make quality medicines affordable to more Filipinos as part of its Expanded Access Program; 2) With the successful launch of Avamys, GSK Philippines has been recognized as the best launch market share uptake globally, out-pacing other markets (US, Europe, and Asia) which have already launched Avamys. Avamys has driven growth of total GSK INS business to 23%. They achieved volume and value leadership in as early as 3rd month from launch. Avamys hit the P100 million mark within its first full year of launch outselling what any other INS brand has sold within a 1-year period. How does one charter a new growth territory? How does one reinvigorate heritage brands? How do you transform a team toward becoming a marketing powerhouse? With most of Kraft’s brands already at leadership position with strong heritage roots, the historical growth of Kraft has been modest at single-digit. Upon joining Kraft in February 2008 as marketing director, Pam was posted with the challenge to accelerate the growth of the business, reinvigorate the brands, and strengthen innovation as a strong source of growth. Further, it was critical to address the insurmountable challenge on people given high attrition. Under Pam’s leadership, she was able to unlock the growth opportunities by focusing on insights, integrated marketing communications and innovation to unleash the power of their brands. After three years, Kraft Foods marketing has truly been a transformation! From a historical compounded annual growth rate (CAGR) of 6% in 2003 to 2007, Kraft for the first time delivered three years of consistent double digit growth from 2008 to 2010. Kraft has gained shares across all categories despite already strong leadership position of key brands. In 2009, with the economic crisis that faced the country and the world, Kraft emerged as the fastest growing food company in the Philippines (among the top 10 food companies). Tang, the company’s biggest brand, has been reinvigorated from suffering share decline and weak imagery as it was seen as a traditional and boring juice drink to now fast-growing with a contemporary, fun and innovative imagery making it kids’ favorite brand! The brand relaunch in 2009 was an immense success as it focused on championing kids brought to life by the engaging “Tang Agent’s” campaign, accelerated the pace of innovation by introducing the first limited edition flavors and the first multi-flavor single serve product in powdered beverage – Tang Pick & Go. These have resulted to reversing the declining powdered fruit juice segment to strong double-digit growth with Tang significantly gaining shares in the powdered beverage category. In cheese, marketing programs have significantly driven growth to the category. Eden expanded its offerings with Eden Meltsarap and Eden Cooksarap-the first shelf-stable shredded cheese in the market. Cheez Whiz introduced new flavours to bring excitement to the brand such as Pizza & Burger. These have truly made Kraft the undisputed leader in the cheese category as it continued to gain share, and improve the penetration by 5pp from what was historically stagnant. In biscuits, with nutritious snacking as a market gap, Kraft launched Tiger Energy Biscuits, the first biscuit in the market fortified with Enermaxx (unique bundle of 9 vitamins and 6 minerals). Oreo has also become more accessible with the launch of Oreo Snack Pack. Various industry awards have been received across Kraft’s portfolio of brands-winning in the recent Tambuli awards, and in the prestigious Asian Digital Awards. “Key to our success was driven by our focus on PEOPLE” – a personal commitment that Pam has lived by as she led this transformation in marketing. Pam instituted a “marketing excellence program” that drove skills enhancement and stronger engagement from the marketing team. Being part of the world’s second biggest foods company, Pamela has been privileged to be part of the select 20 marketing directors around the world, chosen by Kraft Foods Global chief marketing officer, to form the “Directors Marketing Leadership Council”-a true testament that Filipinos are indeed world-class.